The SPT SD-2202S is a counter top dishwasher. So yeah, for those of you whom did not know, counter top dishwashers are a thing. I was surprised to find out too. In fact, there were a few things that I was surprised to find out about the SPT SD-2202S: like the stainless steel interior. I was wracking my brain trying to remember another small appliance that had a stainless steel interior and a different color exterior. The dimensions for this little baby are 21.65W x 19.69D x 17.24H inches. While these measurements aren’t the smallest for a small kitchen appliance, it is certainly smaller than a standard dishwasher. Without sacrificing performance, I typically prefer smaller appliances. Below, I’ve reported my findings from researching this counter top dishwasher. A Small Dishwasher for Your Counter Top? When I first found out about counter top dishwashers, I didn’t realize all of the people that could need a device like this. For most people, a counter top dishwasher wouldn’t be essential. But, after a little while, I thought of all the people whom might need it: busy moms, college students, persons with no built-in dishwasher, small families living in small places, and persons with disabilities etc. Certainly, there are many more situations that would bring about the need for a counter top dishwasher, like a small office kitchen. The SPT SD-2202S is a stainless steel product. Though, the body exterior is coated in a thin silver plastic, while the interior shows stainless steel. Apparently, the exterior is durable, according to a few owners. At 48 pounds, it is pretty heavy for a small kitchen appliance. The shipping weight, 73 pounds, might be too heavy for you. Perhaps you may need to arrange for assistance in lifting it upon delivery. Again, the dimensions are 21.65W x 19.69D x 17.24H inches. It’s not too tall to fit on your counter and under your cabinet. But, will it fit on your counter? Depending on the space available on your cabinet and the placement of your fridge, stove, and sink, it may not fit. You should measure before you buy. Of course, hoses will need to be connected from the dishwasher to your faucet. For you, this might be unsightly. I’m usually a stickler for aesthetics, so this would be a big con for me if it had to stay on the counter connected to the faucet. You can run the hose along the seam of the counter and the wall, or only connect the hose while in use. The hose adapter is easy to attach and detach. The SPT SD-2202S registers 55 decibels while in use. That isn’t very loud. In fact a normal conversation takes place at about 60 to 70 decibels. So it won’t be like having a washing machine in your kitchen while running a cycle. A cycle uses about four gallons of water. You can fit about 6 place settings: cups, saucers, plates, forks, spoons, knives. The maximum plate size is 10.5 inches. No, an 11 inch plate just won’t fit. Someone already asked. There is an 8-hour delayed start feature. This is good if you share a living space and need the dish washing cycle to start after your roommate puts in their dishes. This Sunpentown countertop dishwasher seems to be a well built machine. But yet and still, there are other counter top dishwashers out there that offer a value proposition that could be more suited for you. Take a look at the competition below. The EdgeStar DWP61S is a six place setting portable counter top dishwasher. I know, I know, looks isn’t the most important thing to consider in a small appliance, but the EdgeStar is undoubtedly better looking than the SPT. The digital control panel is LED blue lit. The capacity, max plate size, and several other features are the same. They have roughly the same dimensions. If you check for yourself, you are sure to take into consideration, the feedback for the Edgestar dish washer. There is enough feedback available to make some general conclusions. There are a lot of satisfied customers, although there are some customers with complaints. Overall, this model is a dish washing machine with cooler features and a more proven track record. Both of these dishwashers are made by companies that tend to produce high-quality products. After doing the research, I believe that the SPT SD-2022S is a good choice. It has a quality stainless steel construction and it was manufactured by a company that makes quality goods overall. The unit does take up a decent amount of space, but for most customers whom would need it, it’s simply worth it. The silver color is neutral enough to match your décor. You might find yourself wanting a more modern looking dishwasher, or maybe you’d prefer a different color. The EdgeStar DWP61ES is a good choice also. 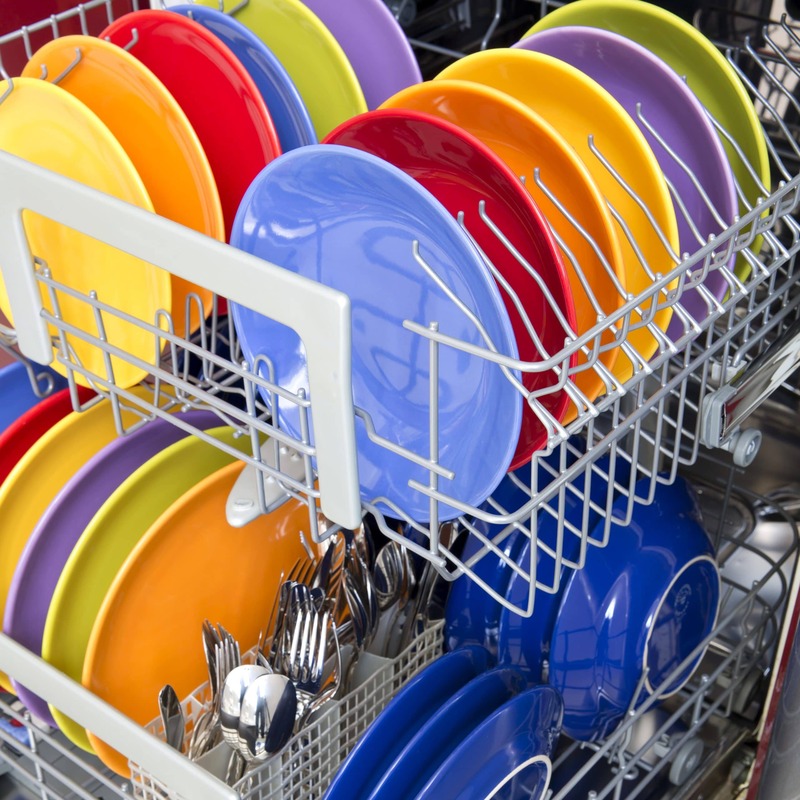 Counter top dishwashers are great for a variety of people for all kinds of different reasons. Maybe you want a counter top dishwasher for your kid when he/she goes away to college…? Whatever the reason, consider the size and where you will place it before you buy. Good luck!